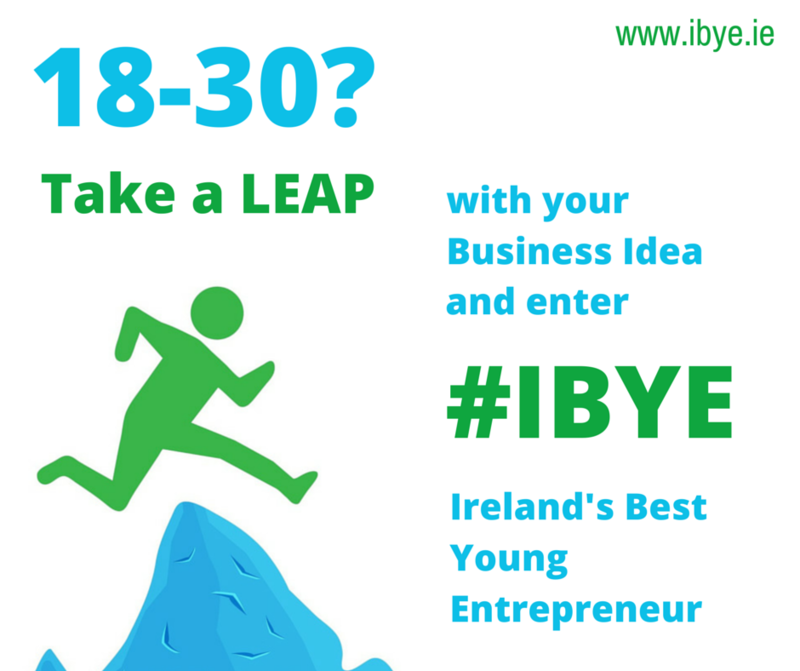 IBYE (Ireland's Best Young Entrepreneur) 2015 now open! Up to €50,000 investment prize-fund for three local winners, through Local Enterprise Offices. The Taoiseach, the Minister for Jobs, Enterprise and Innovation and the Local Enterprise Offices have launched the search to find Ireland’s Best Young Entrepreneur (IBYE), with a total investment fund of €2 million available nationally and up to €50,000 on offer for three local winners. The Taoiseach and Minister Bruton urged all young people with a start-up or a business idea to apply through their Local Enterprise Office before 31st July. The competition is free to enter, and further information is available from the Local Enterprise Offices (www.localenterprise.ie) as well as at www.ibye.ie. The first stage is a county-based competition, with a closing date of July 31st through the Local Enterprise Offices, leading to the naming of the Best Young Entrepreneur in each county. This will be followed by eight regional finals, with one young business-person being crowned Ireland’s Best Young Entrepreneur later in the year, at the national finals in Google’s European HQ in Dublin. At the first-ever National Final, Eamon Keane of Xpreso Software in South Dublin clinched the overall title of ‘Ireland’s Best Young Entrepreneur’ for his parcel delivery software company, ahead of runners-up from the tourism and food sectors. The aim of the initiative is to support a culture of entrepreneurship among young people in Ireland, to promote entrepreneurship as a career choice and to encourage Ireland’s young people to set up new businesses which will ultimately create jobs. For further information on IBYE, contact your Local Enterprise Office.